“If we’re actually going to beat cancer in my lifetime, then we have to change the game,” says Andrew Hessel, founding director at biotechnology company the Pink Army Cooperative and distinguished researcher at Autodesk. A longtime biologist with a mission to advance synthetic and open-source biology, Hessel has been in the game for the past two decades, going back to the mid-’90s when he managed research operations at the Amgen Institute, located in a cancer hospital in Toronto. In his career, Hessel discovered that the first key to developing better cancer treatments is to understand the disease and what sets it apart from other diseases. To the layman, cancer is an evil interloper that can quickly spread throughout a person’s body. But as Hessel reveals in his 2014 TEDxDanubia Talk, it’s actually a person’s own cells gone rogue. There is, of course, chemotherapy, but chemo poisons both cancer cells and healthy cells. Or as Hessel calls it, “carpet bombing.” But aside from a few targeted drugs that are currently on the market, chemo is still the best approach to blast fast-growing cancer cells. Unfortunately, the drug-development process for new cancer treatments is a slowgoing, expensive process. It can take more than 10 years to develop a drug and get it legally approved. And timeline issues aside: Is a generic, all-inclusive path to drug development really the right approach to the fight against cancer? Hessel thinks not. After all, cancer is different from person to person, much like every person’s DNA is different. Bring on the Virus! Doctors and researchers understand that precisely homing in on the cancer cell is the Holy Grail for finding a cure. 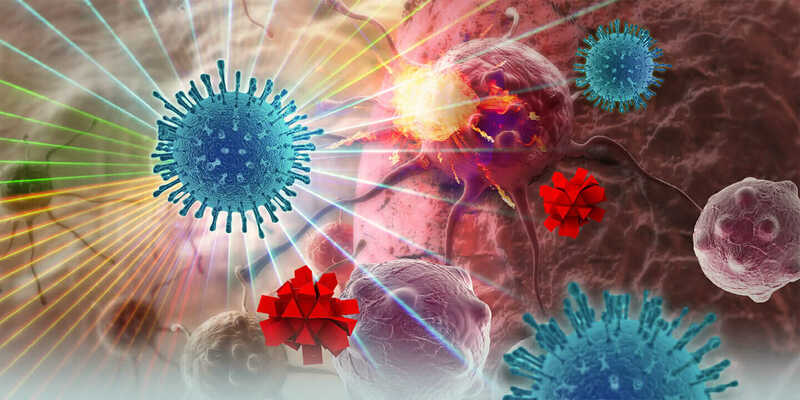 One such approach to directly target cancer cells is using oncolytic viruses (basically, viruses that seek and destroy cancer cells) as weapons, a promising alternative to the drug-development process. The beauty of these types of viruses is that they’re too weak to infect a person’s normal cells, but it’s a different story when matched against a cancer cell. So the oncolytic virus continues to grow inside the cancer cell, eventually breaking it down and killing it. And then the virus multiplies and goes on the hunt for more cancer cells to destroy throughout the body. “So it’s actually hacking the cancer cell to become a drug company,” Hessel says. Of course, if it were that easy, cancer would be a thing of the past, like the eradication of smallpox. 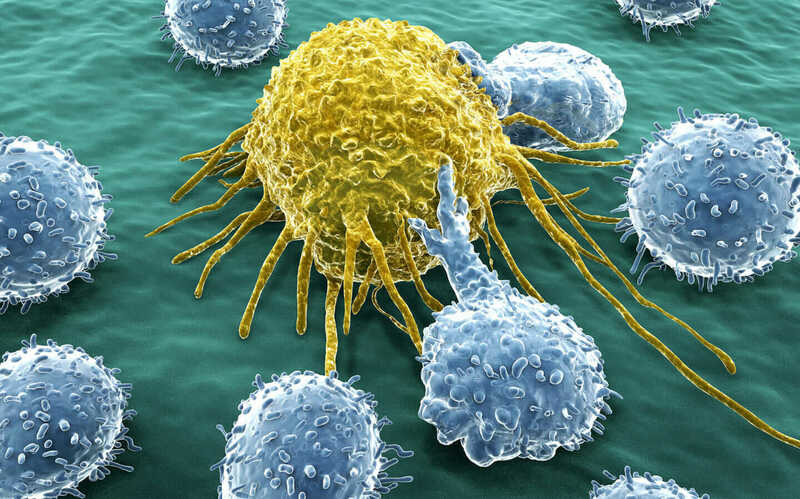 But because your body recognizes an oncolytic virus as just that—a virus—your immune system suits up for battle, builds antibodies to kill the virus, and allows the cancer to spread. Model of synthetic virus PhiX174 bacteriophage, which kills E. coli. 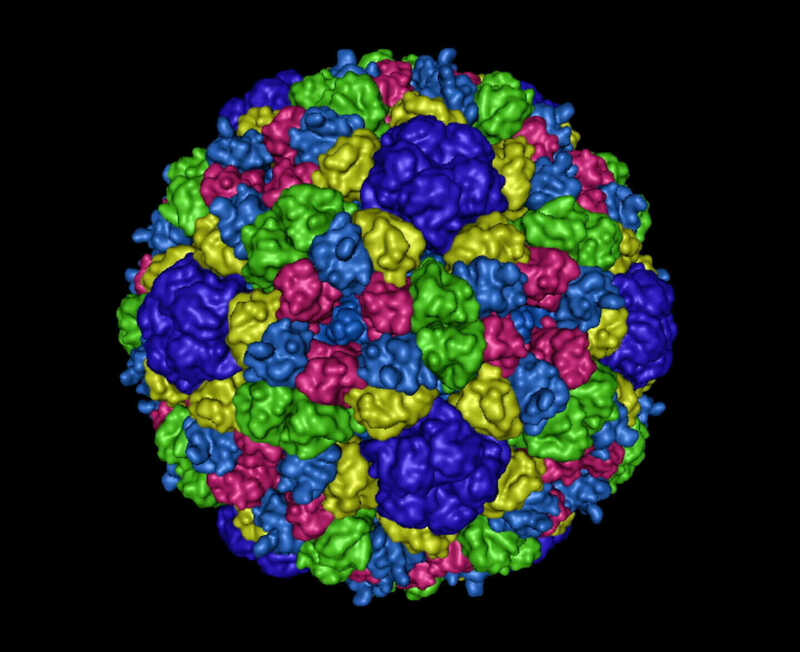 Hessel helped design and 3D print the genome of the virus in two weeks. 3D Printing the Cure. This is where synthetic virology comes into play. The idea is that you 3D print an oncolytic virus using synthetic-biology technology, use it for a couple weeks, and then, once the body builds antibodies to it, create another virus to take its place. “Since you can make it in a matter of days or weeks, we can just keep the cycle of specific medicines flowing,” Hessel says. But it’s early days for oncolytic viruses. 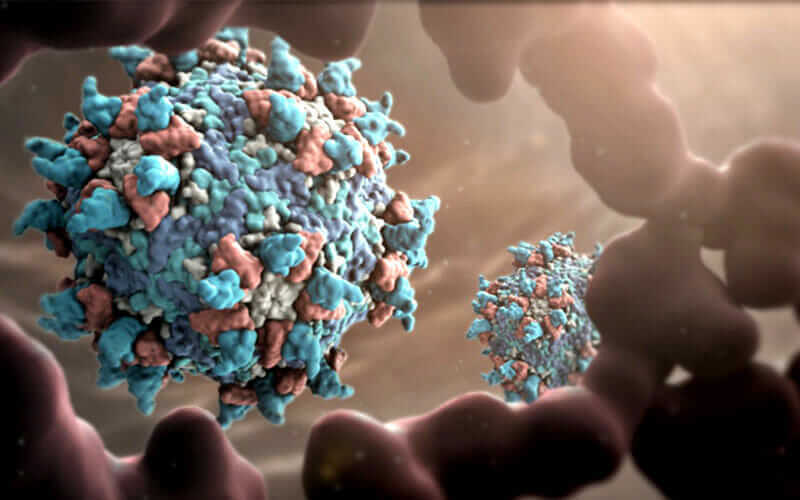 Scientists are still working to refine the therapy to stop antibodies from killing the viruses. Meanwhile, there are other scientists and inventors working for different cures, such as Shawn Douglas, an assistant professor at UCSF and PhD in biophysics from Harvard. Douglas has been creating what he calls “cancer-fighting robots”—nano particles engineered to target cancer cells. He also runs the BIOMOD competition, where students from around the world compete on projects to create new innovations in biomolecular nanotechnology. For example, past winners have used DNA, RNA, and proteins to create prototypes for nanoscale therapeutics to fight disease. Faster, Better, Cheaper. Another approach is robotic testing of chemicals on particular cancers. 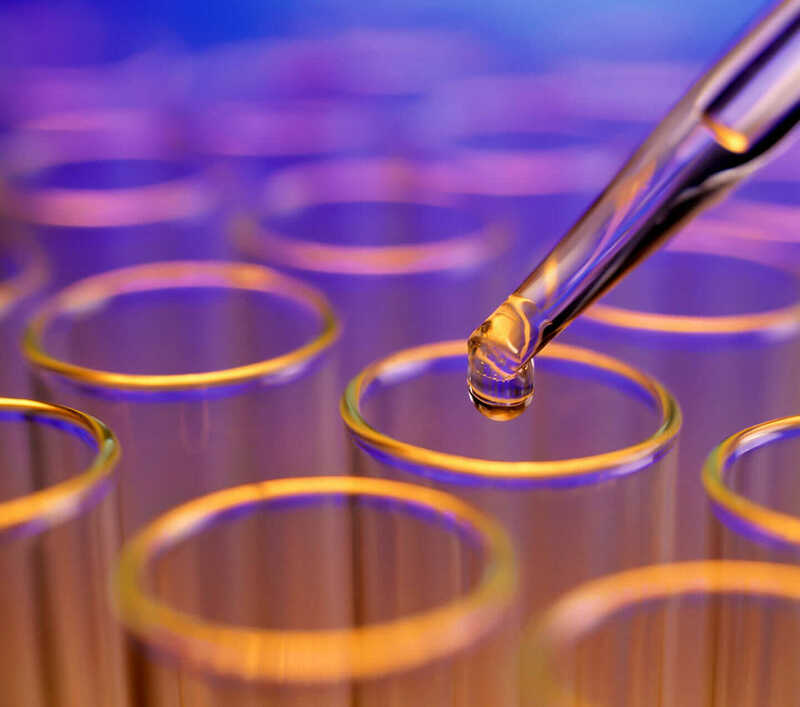 Rather than developing drugs for millions of people and enduring the arduous process of clinical trials, small drug companies will be able to design and test drugs for the individual. But robotic testing requires that drug-development costs decrease dramatically in the way that technology—such as building websites and buying computer storage—has become exponentially less expensive. Hessel is optimistic. 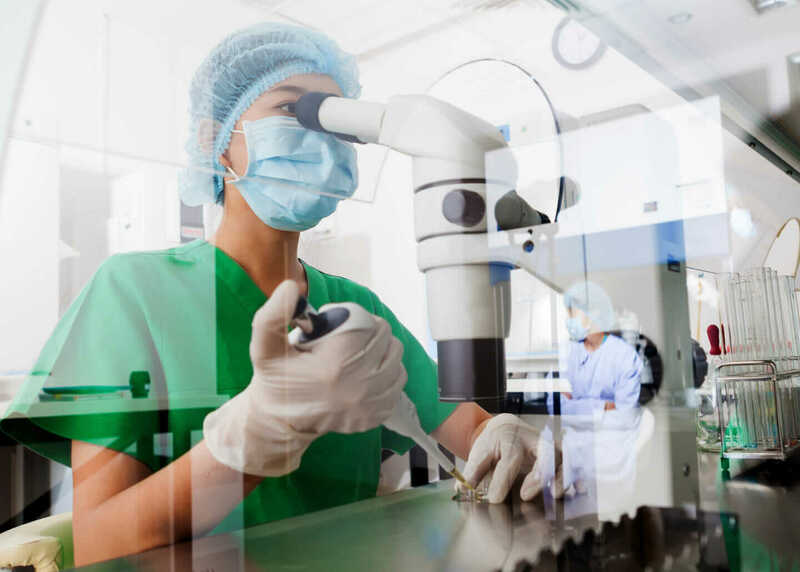 With the increasing accessibility of drug development, DNA sequencing, and 3D printing viruses, it’s not just up to enterprise organizations to create better cancer treatments. “In the same way musicians are learning, ‘Hey, why do I need all of this infrastructure for the old record industry? Screw it, I can go and publish my own album. I can go and make it in my bedroom,’ that’s exactly where science and research are coming to,” he says. According to Hessel, while success is still anecdotal for therapies like oncolytic viruses, these are not pie-in-the-sky science fiction stories. The cure for an individual’s cancer could be a small-market drug or a virus that’s tailor-made just for them. And the future fight against cancer is looking brighter by the day.